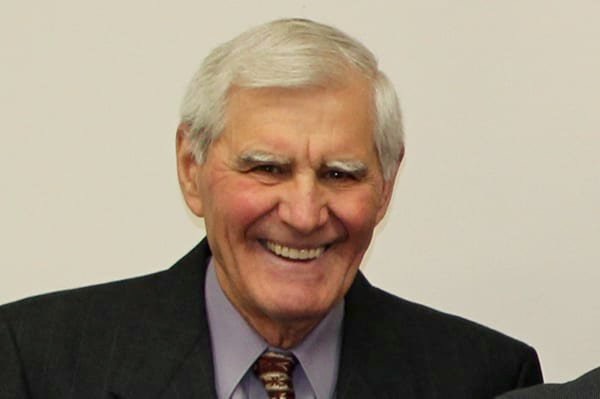 Obituary for Joseph Michael ZAROWNY | Cherished Memories Funeral Services Ltd.
With loved ones at his bedside, Joe Zarowny passed away in the early morning hours of Monday, October 15th at the age of seventy-nine. Joe was born in Trail, BC on April 13, 1939 to parents Ed and Audrey Zarowny. He received his post secondary education at St. Anthony’s College in Edmonton, and SAIT in Calgary, working in Electronics and Construction Management in the Lower Mainland and Calgary. During his time in electronics, Joe invented the electronic testing equipment for cablevision widely used in Canada and the USA. In 1995 Joe and Penny moved to Elkford, where he retired in 2005. In 2009, Joe immersed himself into local politics after being elected to Elkford Council. A three-term Councillor, Joe passionately represented Elkford, constantly advocating for the betterment of the community. In addition to being a strong voice for senior’s initiatives, Joe served on the Urban Wildlife Management Advisory Committee. His contributions, dedication and service were beyond measure. Joe’s faith and his love of family and community were everything to him. He will be forever missed. Joe is survived by his beloved wife of 52 years, Penny Zarowny; his children: Michael Zarowny of Calgary and Melanie (Dave) Gilowski of Vernon; grandchildren Julianna and Scott; 3 sisters: Sister Marie Zarowny SSA, Louise (Stuart) Birley in England, and Yvonne Zarowny; his niece Carole, many Zarowny and Caron cousins, as well as many long-time friends. Joe was predeceased by his parents. A Funeral Mass for Joe's family and parish will be held at. St. Bernard's Catholic Church on Thursday, October 18th at 11:00 AM. A Public Memorial Service will be held at Teck Hall. The date/time will be published as soon as arrangements are finalized.